TruBliss is passionate about Empowering Inner Wellness + Outer Beauty. We’re recruiting Motivated, Positive, and Passionate Individuals to help Grow and be one of our Winning Team. Our Commitment to you is to provide a Professional, Fun and Prosperous Environment. Our Culture is strongly rooted with Trust, Respect, Integrity, and Inspiration. Our Positive work Culture leads to improved employee and Customer Loyalty, Engagement, Performance, Creativity, and Productivity. Whether you’re interested in Renting Space, Commission Split or Hourly Rates… We’re committed to helping you achieve your financial goals. Apprentices and New Graduates Are Welcome To Apply. A Commitment to providing an Excellent Client Experience. The ability to have FUN while Achieving Performance Goals. A Desire for Ongoing Growth and Development and to make a Positive Difference in the Lives of our Clients and in Ourselves. 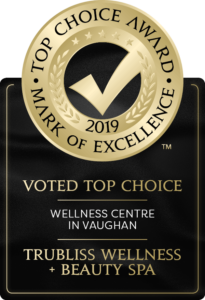 If you want to have Fun while Achieving Financial Goals, and if making a positive difference in the lives of your clients is important…then TruBliss is the place for you! Send your resume and cover letter to Rosemary Fusca. Sign Up For Some TruBliss! You'll Get Special Offers, Promotions, And Give-A-Ways, Plus Other Subscriber Only Resources You Can't Get Anywhere Else.